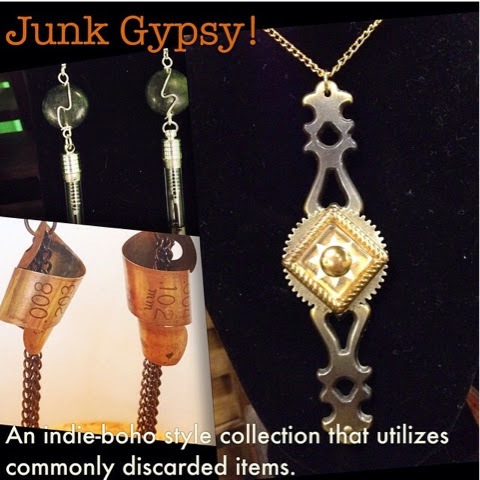 The Junk Gypsy Collection features common household items turned into jewelry that's quirky, eclectic,and unique! 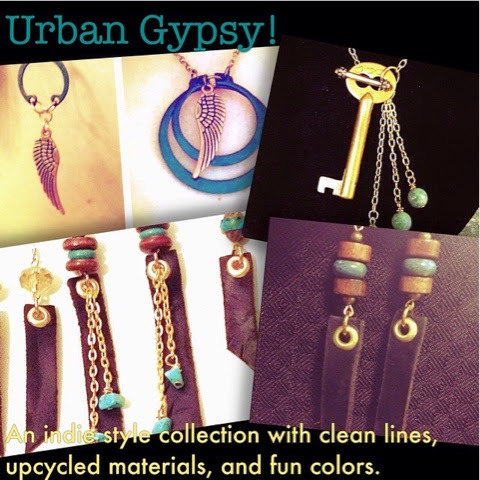 The Urban Gypsy collection offers fresh, fun, and funky styles often seen at festivals! Layer with our Gunsliger collection for a cool look!! 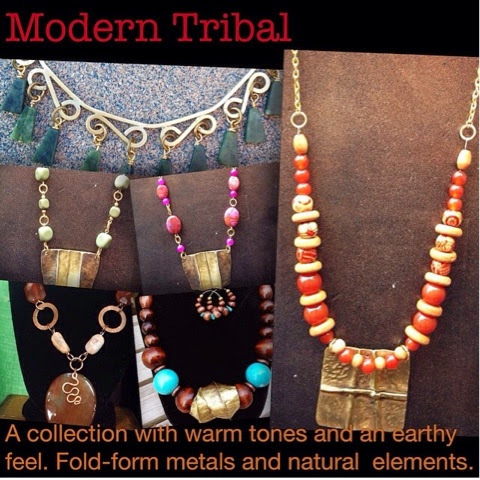 Our Modern Tribal Collection is rich, earthy, and natural. These pieces look great with a long maxi skirt, or to dress up jeans and a tshirt. Check out our shop for more!